We are engaged in providing car carrier services, vehicle carrier services, car shifting services, state to state care carrier and two wheeler carrier services. We give lift up and deliverance of vehicles with seal & secure container & car carriers and car trailer for them, which are especially proposed for rapid, consistent and well-timed relocation, and shipping of cars and other vehicles in all over India. Moreover we can effortlessly and quickly deliver other vehicles like two-wheelers and cars etc. at our customers chosen place. We provide door to door services by car carrier only. Safe and time to time delivery. Services provided all over India as well as Local shifting within the city. We provide professional packing with best quality material with air bubble, thermocol, branded boxes, branded sellotapes, corrugated sheets and water proof stretch films. Car condition paper done in front of the customer. We are in this industry since last 15 years. Branches all over India in Major cities. Moving of car from one place to another place is not an easy task. It is difficult task, and moreover it is full of risks. Even a slight mistake will cause damage to your darling car. 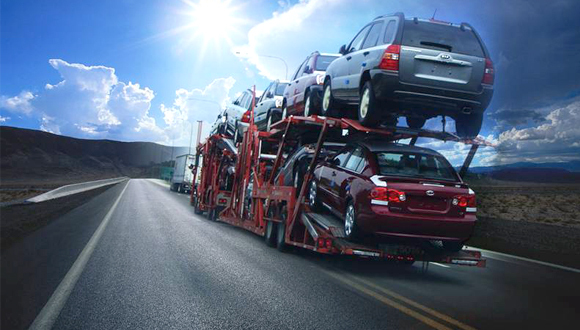 We have our own specially designed car carrier to transport the esteemed car of customers at their door step on time.